One thing I’ve always been prone to do is put things off. I wait happily for harvest from my main plants, thinking that I’ll have nothing until then. And to a certain extent, that’s true because I have so little space in my tiny urban allotment garden. But this year I’ve decided to really try to get to grips with growing as much as possible all year round. So I’m starting off some tubs of spinach and lettuce. There’s no space in the greenhouse so they have to grow outside and the only place they won’t be in the way is on top of my storage box. But there’s a problem. Invertebrates. Hundreds of them slithering all over the place, eyes on stalks waving cheerfully at my produce before they devour it. They are after my harvest. *Mutters darkly*. 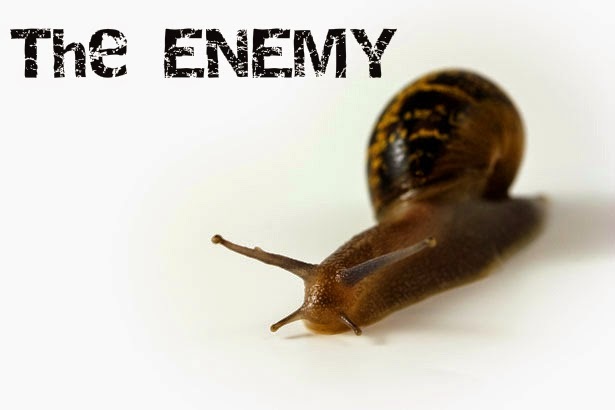 For an urban garden, surrounded by loads of other small city gardens on the back of the local Victorian terraced houses, most of which are paved, we certainly do have a lot of slimy creatures. I am inundated by snails and slugs (shudder). I’ve always tried to garden organically and had some small success with ground eggshells last year but one thing that I really can’t rate highly enough is copper tape. I used it last year to thwart the superhero snails that somehow made it through a closed greenhouse door to munch on my tomatoes and it proved surprisingly effective. So, to the plan. I can’t just leave the troughs on the storage box because I’ll effectively be providing the slimy invaders with an all-you-can-eat buffet. So instead what I’ve done, (or rather asked Mr Garlic to do) is to put a ring of copper tape on the top of the storage box. Thus I am able not only to have my salad leaves out in the partial sun, but also to get a psychological one-up on the slugs and snails. I shall taunt them with my lush green harvest! Hah! It’s possible that being stuck at home for a month with a broken foot is making me slightly paranoid. And mad. Ugh – I've had my fair share of issues with slugs. 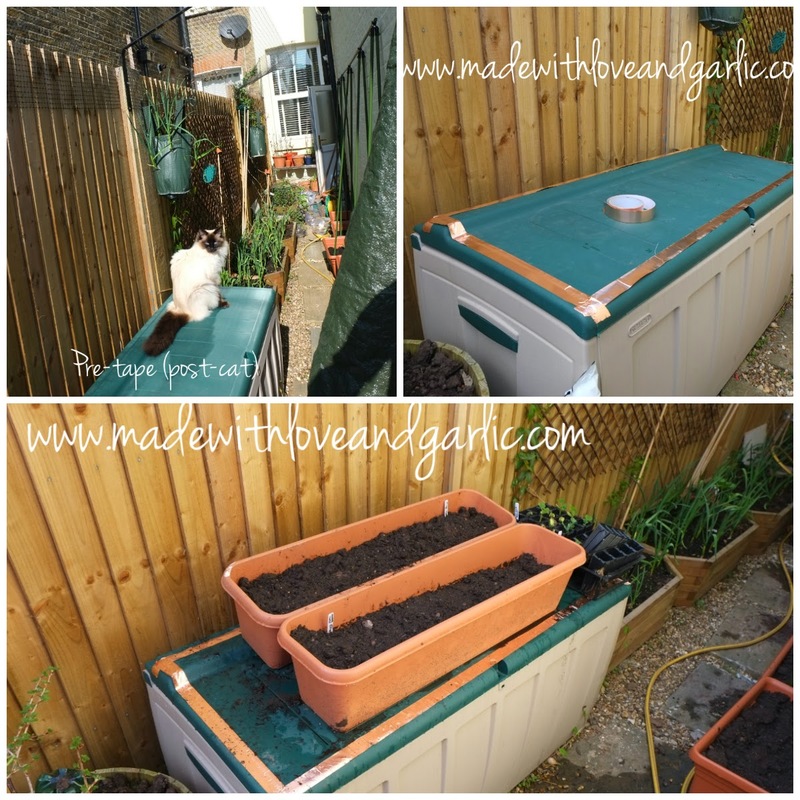 I would love to use the copper, but it would probably cost too much for a raised bed & with all the nooks and crannies, they could probably get around it anyhow. I use diatomaceous earth, which works wells unless it rains, then you have to reapply it. They're disgusting aren't they? And even removing them humanely is impossible because they're so slimy and I don't want to touch them…eew! I won't do the raised beds because as you say, it'll be too expensive. But for the storage chest I'm hoping it'll work!